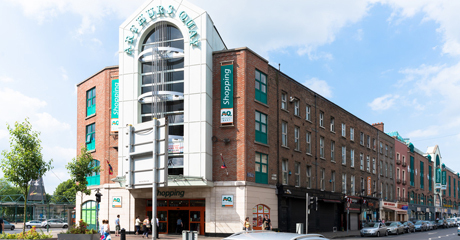 Arthurs Quay Shopping Centre is located in the right in the heart of Limerick City. It is home to almost 30 stores selling a variety of goods, a superb food court as well as 600 car park spaces. All of this, along with it's main anchor tenant Tesco, makes Arthurs Quay a key destination for shopping in Limerick.